TGIF! I love short work weeks! I have another one next week too since I'll be taking off early Friday morning for Michigan! I call this my "summer schedule!" If only I could work four days every week! I'm linking up with Amanda today for my Friday Favorites! 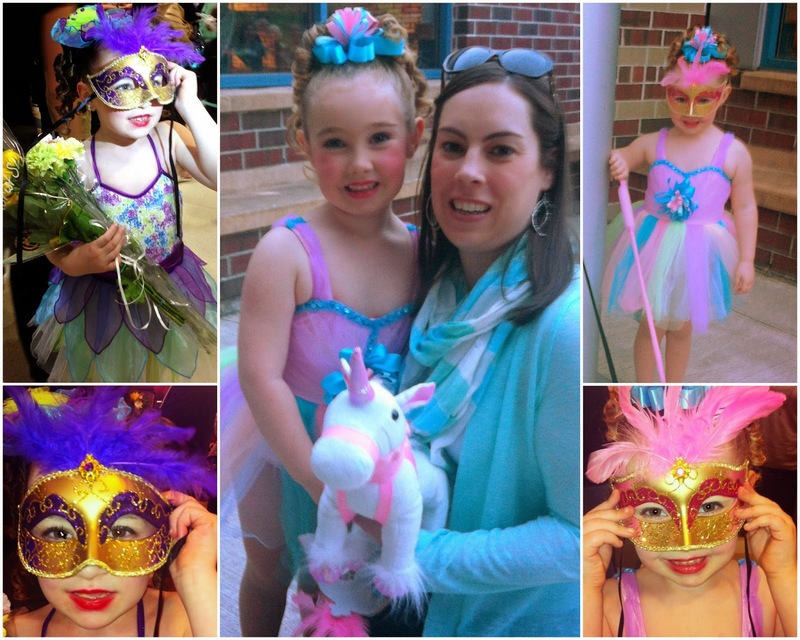 Peyton and Ella had their dance recital last Saturday. 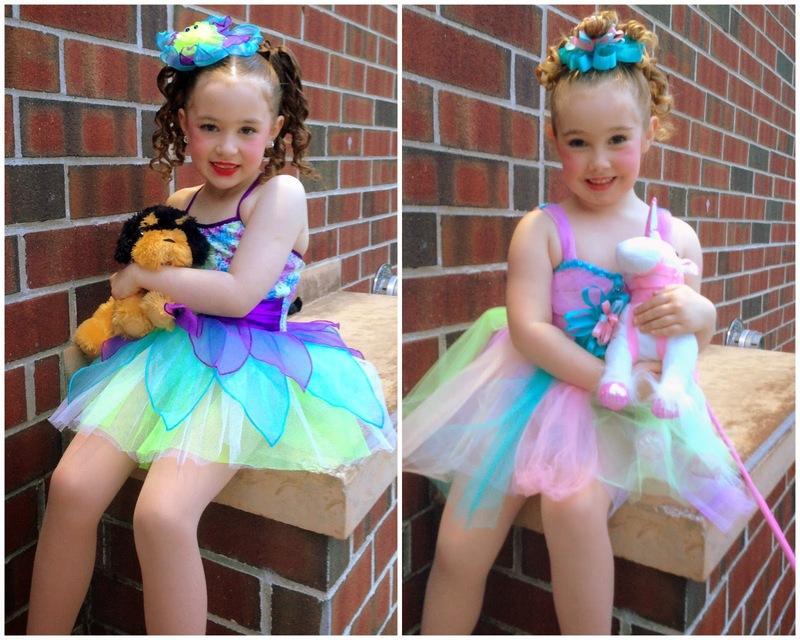 They did such a great job and it is so cute to watch the little ones dance! They were so happy and proud of themselves! There were numerous family members there to watch which meant lots of flowers and gifts for the girls. My mom gave them the stuffed animals pictured above. I brought them back Venetian masks (pictured below) and they looked so cute when they tried them on. 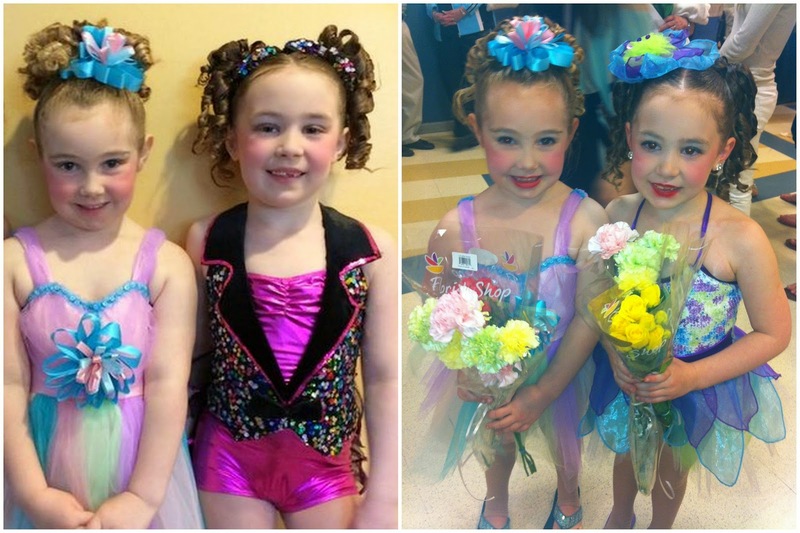 They even matched their dance costumes! I love this time of year because there are flowers in bloom everywhere. 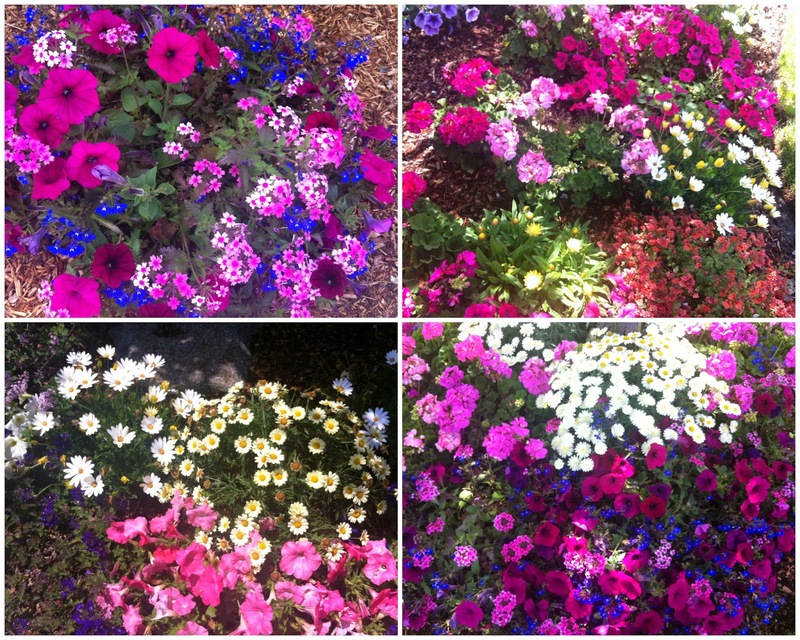 I went for a 7 mile training walk and it was so nice to see colorful flowers along the way. 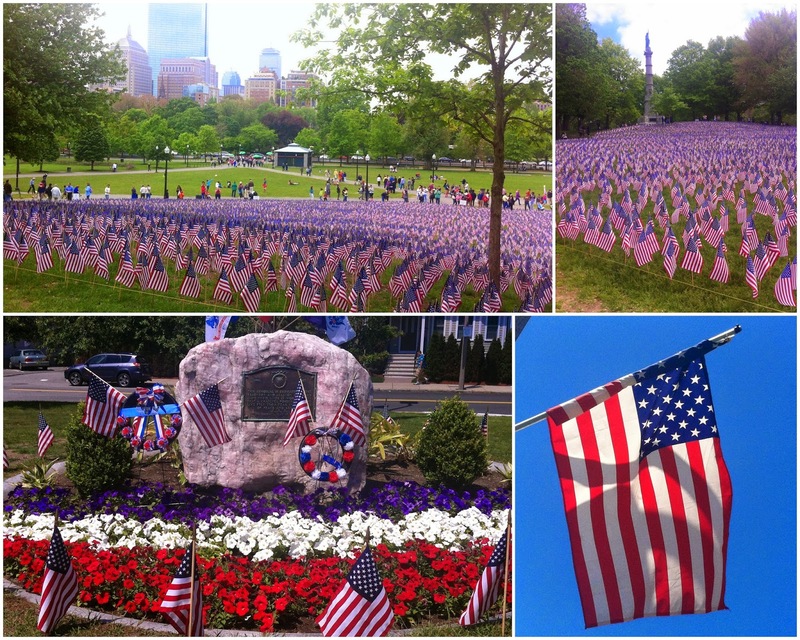 For Memorial Day the Boston Common puts out a flag for every person from Massachusetts that has died in service to our country. I went last year too. You can see more photos of the flags in my post from last year. While sad to see how many people have died it is quite beautiful to see all those flags and know all those people fought for my freedom. I got my "Prints for a Cause" the other day and I love them (sorry for the crappy iPhone photos). I put the Do Good one on my desk at work and haven't figured out a place for Be The Example yet. I love the colors I chose. Eva is so talented and even the envelop looked adorable! I brought that into work too and tacked it up in my cube! There is still time for you to get your own print. 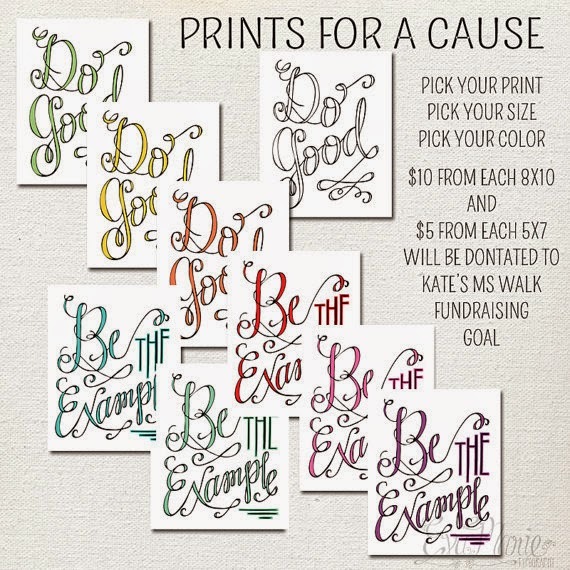 Not only will you end up with an adorable print to hang somewhere but a portion of your purchase will be donated to Kate's fundraising for the MS Challenge Walk! The day before I left for Italy I had the opportunity to meet Carlyn from the blog Strangers To Friends. She lives in Denver but has family in Boston so was visiting for a few days. Last year when I was at Blissdom I met Dawn who is friends with Carlyn and told me I should follow her online b/c she has MS too. I started following Carlyn but we didn't interact much at all. Then more recently we chatted online and made this meeting happen. Carlyn is all about meeting new people and writes about how strangers become friends. We actually have more in common than MS including a love for travel. I don't think this meeting will be our last and I look forward to her next trip to Boston! 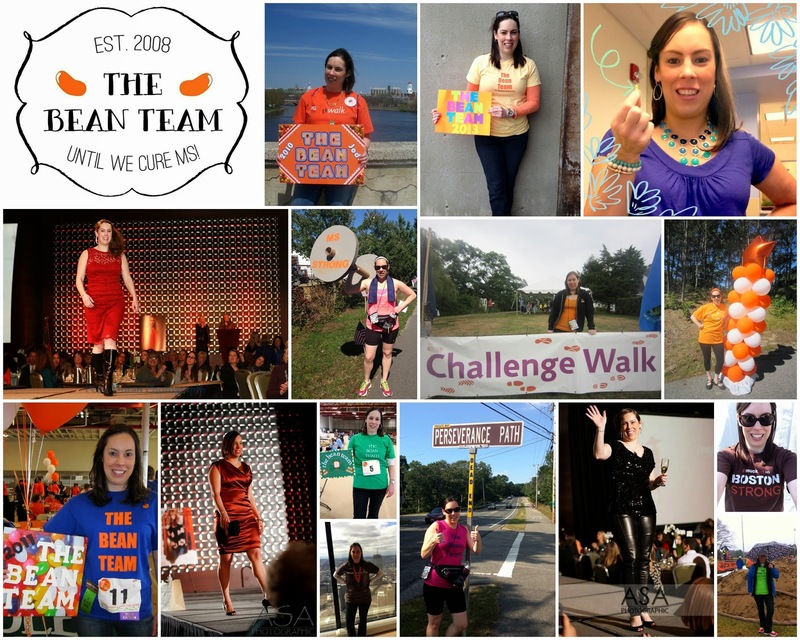 I'm the featured blogger this Monday for Leeann and Kimberlee's Monday Morning Gossip linkup. You should link up on Monday too. 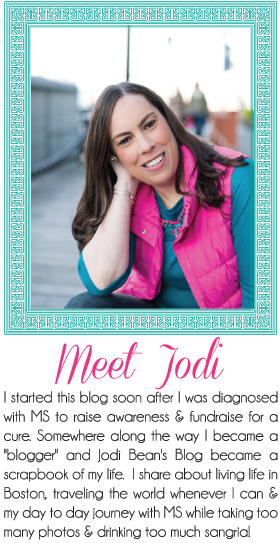 You can blog about anything! I'll be finally blogging about Italy starting with Florence so you don't want to miss that! 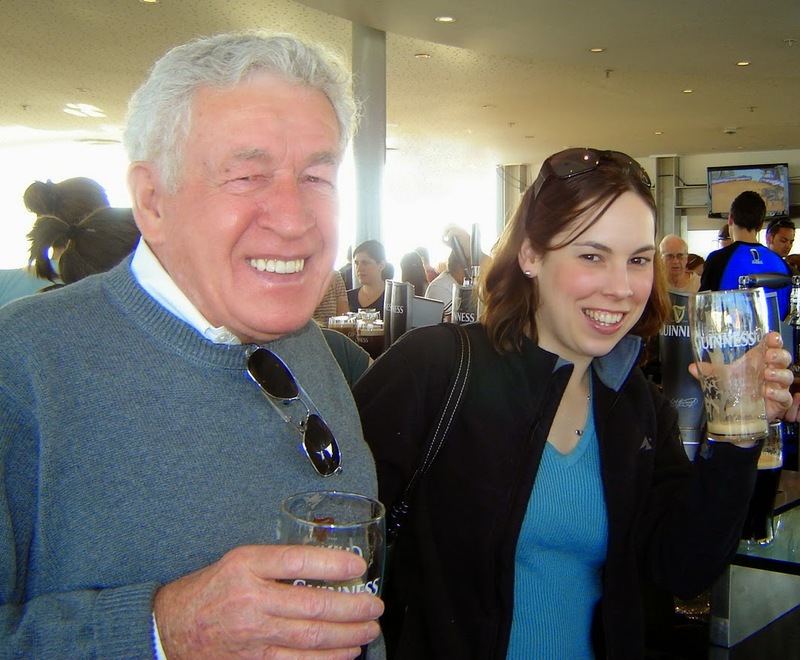 As most of you know my grandfather Paul died on April 27th. He lived with his wife, Lee in Michigan. He was 90 years old and lived an amazing life. He was very healthy for most of his life and worked longer than most. In the end he died at home, peacefully, just the way he wanted. He was a veteran of three wars - WWII, Korean and Vietnam. He entered the US Army in 1943 and was honorably discharged in 1945. He served with the 115 Regiment of the 29th Infantry Division as a combat medic. He participated in the June 6, 1944 invasion on Omaha Beach, Normandy, France. On June 12, 1944, he was captured by the German Army and would become a prisoner of war for over eleven months until he heroically escaped in 1945. Paul was awarded the Bronze Star Medal for D-Day invasion and a second bronze star for his heroism in the battle on June 12, 1944, the day of his capture. 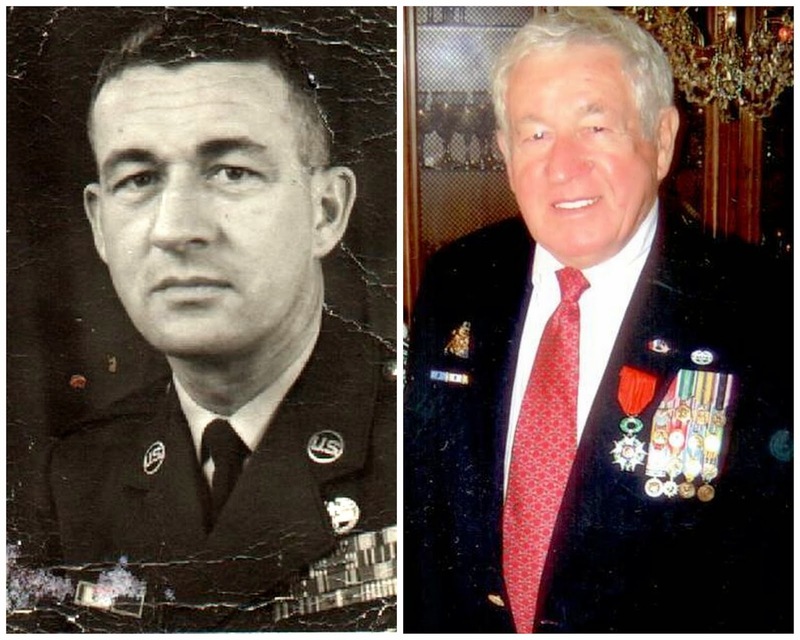 He was also the recipient of the Republic of France Legion of honor for outstanding military service (photo on right). Paul re-entered the United States Air Force in November of 1951. A proud member of the 474th Fighter Bomber Group in Korea. He later served in Vietnam 1965 as a Military advisor to the Republic of South Vietnam. In December of 1969 Paul retired from the Air Force as a Senior Master Sergeant. Lee asked me to take photos at the services. 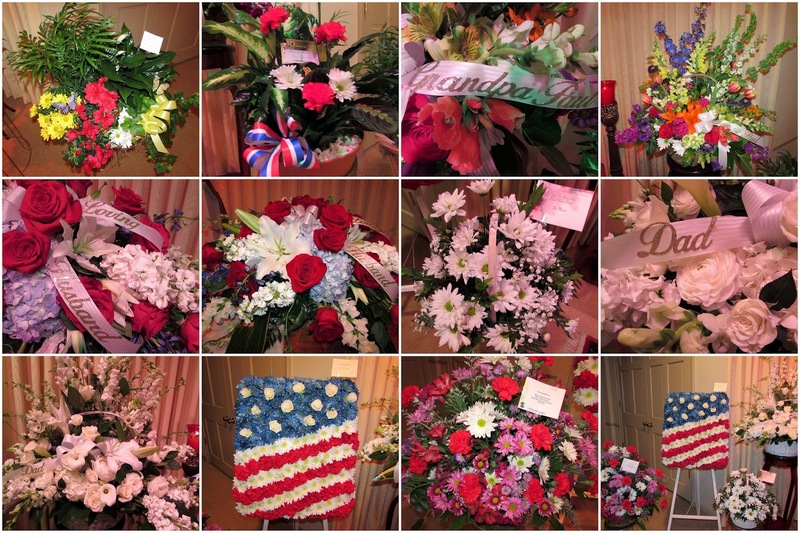 There were beautiful flowers at his wake from friends and family near and far. 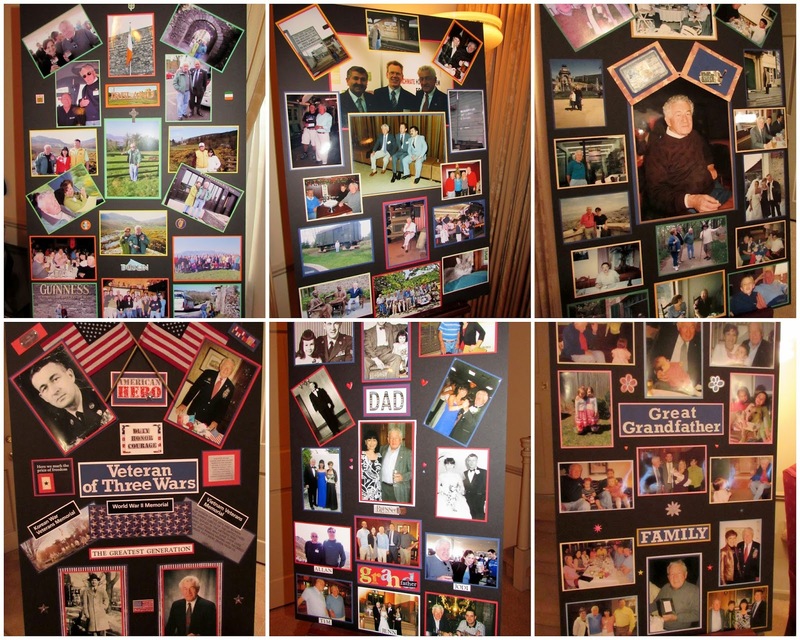 My mother made photo boards with photos from my grandfather's live. People really enjoyed looking at them. We have a lot of happy memories with him including a trip to MI for his surprise 80th birthday and a ND/MI football game, a vacation with him and Lee to Ireland, my brother's wedding, my mom's surprise birthday dinner, and many other dinners and get togethers when they would visit. He loved being a grandfather and great-grandfather even though he never thought he was old! My grandfather was featured in the book PORTRAITS OF SERVICE Looking into the Faces of Veterans by Robert H. Miller and Andrew Wakeford which received the Independent Publisher 2012 Outstanding book of the Year, Freedom Fighter Award. This book shares diverse stories of 60 veterans from WWII to recent wars, stories of the heroes to the homeless. It is quite moving. My grandfather's funeral was at this beautiful church, St. Matthew, in Detroit. He laid in state at the church prior to the funeral mass. 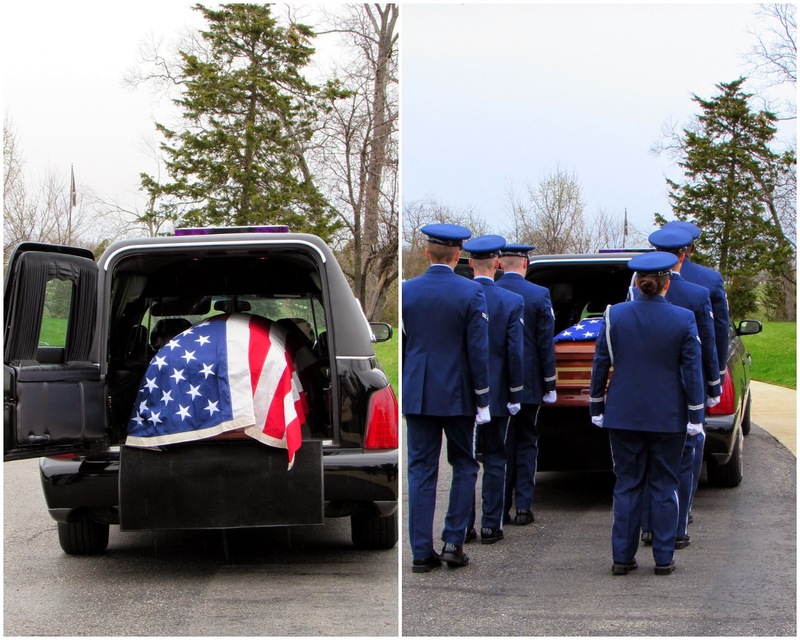 My three brothers, as well as a few of Lee's relatives, including her great nephew who is active military, were the pallbearers. Due to my grandfather being buried at the National Cemetery we had to wait until two days later for that (his funeral was on a Saturday and the burial Monday since they don't do them on Sundays). So after the funeral we all went to one of my grandfather's favorite restaurants to eat, drink and share more memories. The man on the left is a good friend of my grandfather's. He lives in RI and worked with my grandfather for many years when my grandfather was working in RI. 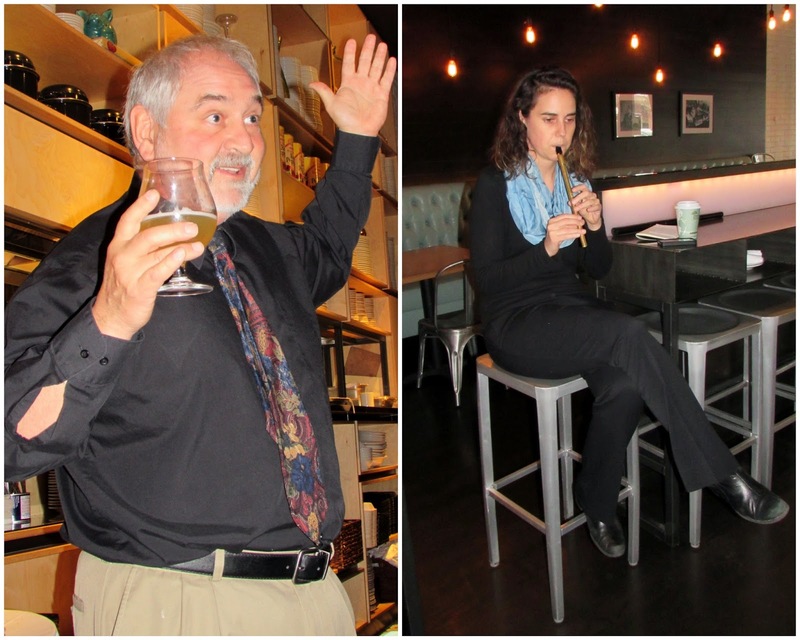 He shared some great memories about him and had everyone smiling in agreement. The woman on the right is playing an Irish pipe whistle because my grandfather really liked the music they made. 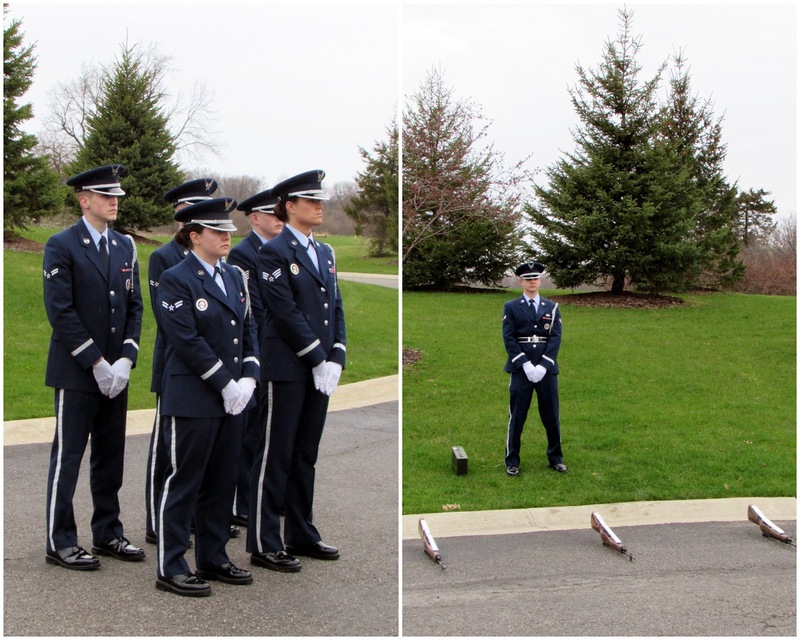 It is somewhat hard to take "people pictures" at wakes and funerals since everyone is crying but we did manage to get a few. 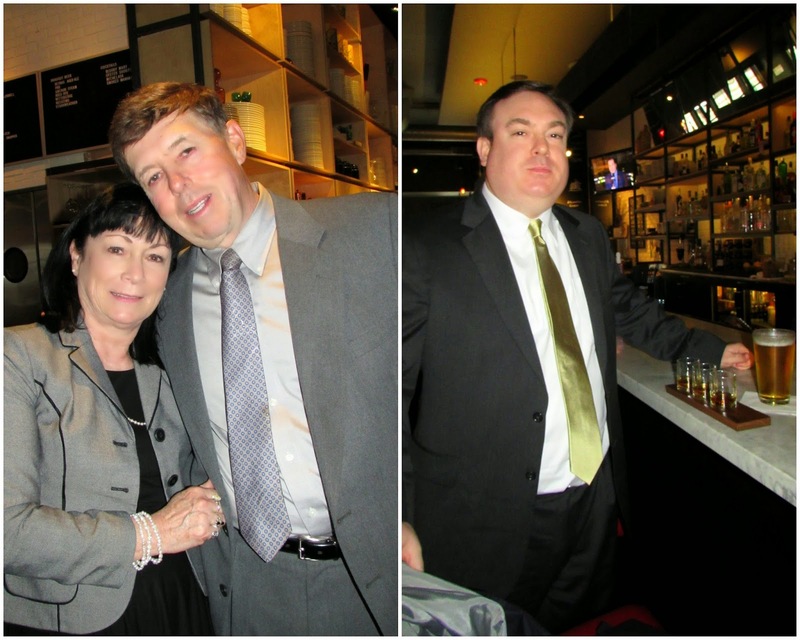 My parents on the left and my brother Allan on the right who told us if it was a true Irish funeral we would all be drinking whiskey. The restaurant we were at had a "whiskey sampler" so he drank some for all of us! Wayne is the man who ran the POW group at the VA that my grandfather was involved in and he shared many stories with us about my grandfather. My brother Tim and mom. 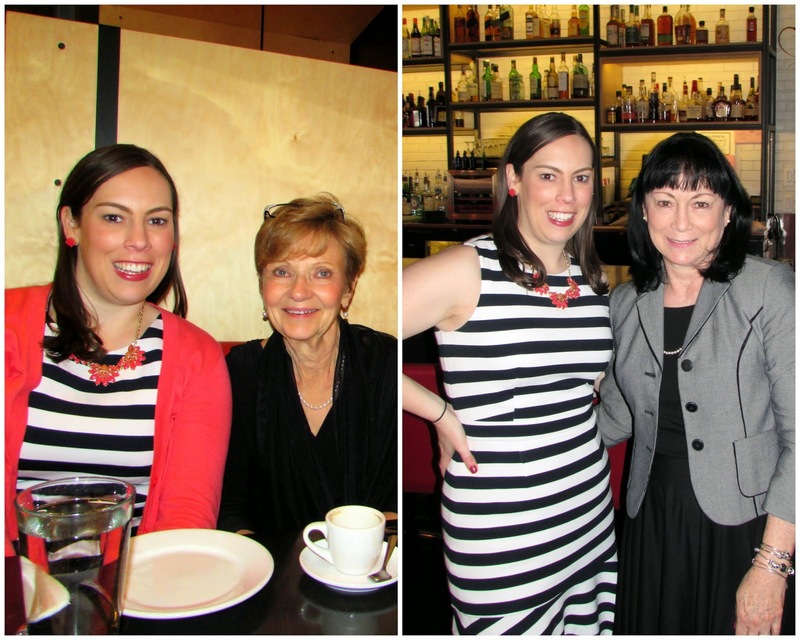 Lee and I (left) and my mom and I (right). Afterwards we went back to the hotel to change and then over to the house with Lee to watch the Kentucky Derby. We ate (again) and just hung out together. It was an emotionally draining two days with many sad tears but also some happy tears and laughs. We shared many great memories and truly celebrated his life. 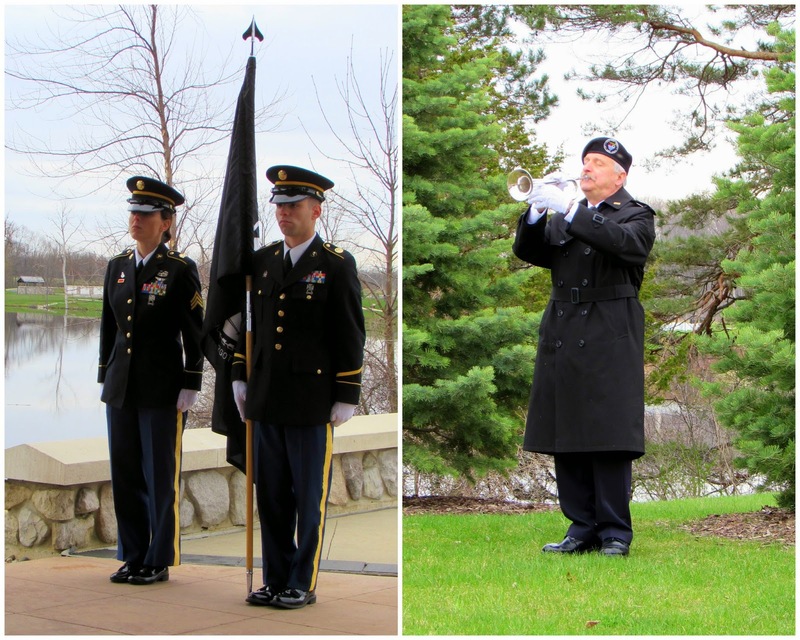 I'll be sharing photos from his burial with full military honors at the National Cemetery tomorrow. 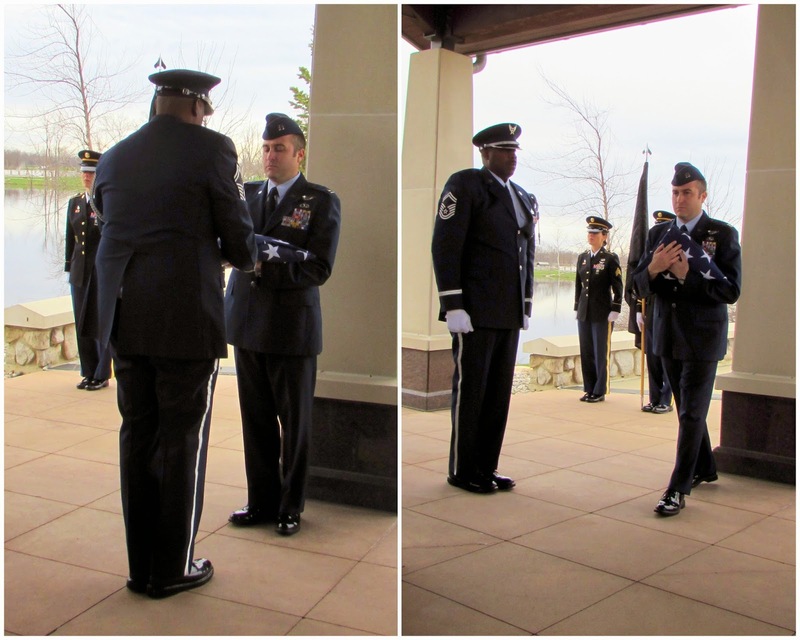 It was my first time to be at a military funeral.